Can we dial the hyperbole back just a tad? It’s like people in various walks of life got a new computer this week, it came with Windows 8, they didn’t like it, so they decided to say nasty things about Microsoft. For instance, Goldman Sachs downgraded Microsoft’s stock to SELL status. 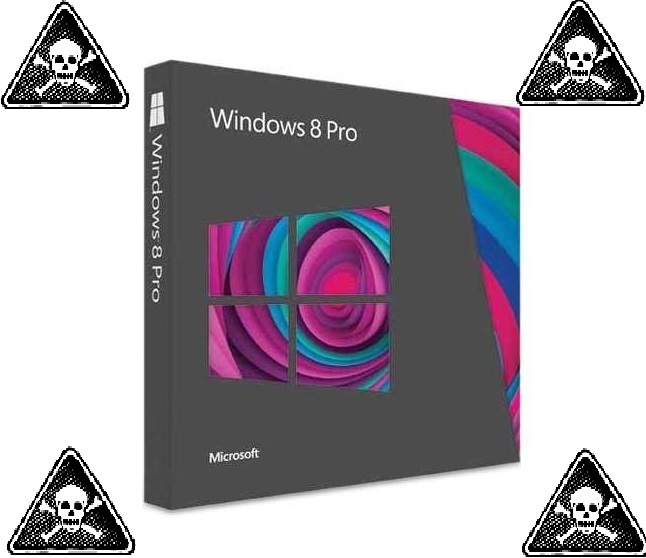 Analyst at ZDNet, Steven J. Vaughan-Nichols, declared it over for Windows 8. Meanwhile mere hours later, rumors start breaking (yes, even at ZDNet) that Microsoft will bring back the Start Button and boot-to-desktop features in the upcoming Windows Blue. First, to the Windows Blue rumors: some people are suggesting the Start Button will not be back – there are some internal struggles within the Windows camp, but that these are coming from the top down as orders based on user feedback. Further, it sounds as though the Windows Blue “preview” that is slated to appear in June will not have this feature, as it is being thrown in last minute, and may not appear until the final release in August or later. Still, I have no idea what the overreaction is all about. With or without the Start button or boot-to-desktop, I think of Windows 8 as a pit-stop. I mentioned before, over a year ago, in fact, that I think of Windows 8 as an experiment. Microsoft knew it would meet resistance and this is allowing them to make adjustments, without necessarily admitting fault. Making a couple of mistakes in a minor release of Windows is not the end of the world. Remember the reaction to Windows Vista? How about Windows ME? I’m one of the few people who didn’t have any problems with either of those releases, but if Microsoft survived those? Windows 8 is barely a blip on their radar. Microsoft is going to make adjustments and this time they’re going to begin iterating faster. The future updates aren’t service packs, they are overhauls and true incremental improvements. I expect to see quite a bit from Windows 8.1 / Windows Blue – and I certainly don’t think Microsoft is going to fall off the map because of Windows 8. People are increasingly disappointed with Apple. The hardware is impressive (slimmer laptops, better displays), but Mac OSX is stale. The biggest additions are platforms that allow you to launch iOS apps within the desktop operating environment! “iOS-ification” of the desktop is not improving OSX. It’s time for a change. I’m genuinely starting to think that the desktop market is about to reignite. Microsoft is currently being blamed for the worst drop in PC sales history. And while people want to say it may be because tablets are taking over, you need to understand the numbers. Last quarter, over 400 million PCs were sold. In the last four years or so, only about 30 million iPads have been sold. In the worst three months of PC sales history, PCs still outsold iPad’s entire life-span by more than 300%. We’re not living in a post-PC world, I’m sorry if you thought we were. I expect a few more dips as a few gamers start to experiment with the rumored “Steambox” consoles, and even things like Ouya or the upcoming PlayStation 4 and Xbox 365 (or whatever they call it). But before long, the desktop market is going to ramp back up – people are going to want that powerful unit under their desk with multiple monitors and a nice place to work on their projects. Wait and see. And you know who I fully anticipate to still be around when that happens? Microsoft, with Windows.